Positions Vacant: Let us know if you are hiring - we can share your employment ad here. Space to Let: Let us know if you have space to share or rent - we can share your ad here. An exciting opportunity exists for a Senior Architectural Graduate or Registered Architect with at least 5+ years’ industry experience within our vibrant Wellington Studio. Studio Pacific Architecture has an established reputation for award-winning architecture, urban design, landscape, and interior projects. – Experience with complex and large projects over a range of project types. If you have these qualities and would like to play a key part in our exciting body of projects, please send your CV and 4 or 5 examples in PDF format. An exciting opportunity exists for an Architectural Graduate to join our vibrant Wellington Architectural Practice. Studio Pacific Architecture has an established reputation for award winning urban design, architecture and interior projects. You will have excellent design skills and be able to easily collaborate within our project teams. The successful applicant will be CAD competent (preferably ArchiCAD),have technical skills appropriate to your level of experience and the ability to contribute to the design and documentation of our diverse range of projects. We offer a flexible, inclusive and creative working environment with opportunities for part-time work, a variety of exciting projects, and career support and development for our people. Other benefits include health insurance, an endless coffee and fruit supply, frequent social events and Studio sponsored sports teams. If you have these qualities and would like to play a key part in our exciting body of projects and develop your career within an excellent culture and cross-disciplinary team, please send your CV, covering letter and a sample of your portfolio including 5-10 examples of your work. An exciting opportunity exists for a skilled and motivated Site Architect within our vibrant Architectural Practice. Studio Pacific Architecture has an established reputation for award winning urban design, architecture, interior projects, landscape and heritage. We are looking for a Registered Architect who will be based in Auckland for the duration of the project, beginning as soon as possible. The position is initially part-time with the potential to build up close to a full-time role. The Site Architect will be responsible for undertaking site observation and providing hands-on guidance and effective technical design solutions to any issues encountered. Liaison with the various contractors on site, the consultant team and project manager will require you to be a very effective communicator. The Site Architect will act as the conduit for information between site and the Project Architect who is based in our Wellington studio. We have a strong body of tools developed to assist in successful site observation services and the Site Architect will be required to incorporate these into their role on site. The project is expected to be on site for about 18 months or longer and there is the possibility that we will also require site architect services on other projects beyond this time. To be successful in this role, a minimum of five to seven years’ general experience along with evidence of a substantial involvement in site observation is essential. The ideal candidate will be a skilled communicator with excellent verbal and written communication skills and have sound technical knowledge and problem-solving skills. They will also need to be very conscientious with regards to site observation planning, execution and recording information. We have a studio space in Auckland that the Site Architect can base themselves and work from when not visiting the site. CAD experience (preferably ArchiCAD) is also a strong advantage. We offer a flexible, inclusive and creative working environment with a variety of exciting projects, and career support and development for our people. Other benefits include health insurance, an endless coffee and fruit supply. Jasmax is an established multi-disciplinary architecture and design practice with a rich heritage, spanning more than 50 years. 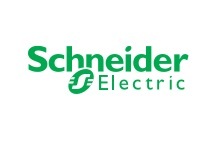 With 200 employees and strong leadership, we pride ourselves on developing our people to deliver world class projects. Over the past three years we have designed close to $1 billion of built infrastructure. Our portfolio of projects includes the New Zealand Pavilion at Dubai Expo 2020, modern schools, mixed-use and multi-unit residential projects, among many others. At Jasmax, we see it as our purpose to maximise the human experience and enhance the world around us. Our values are at the heart of what we do and shape our projects. Our Auckland studio are looking for a passionate Landscape Architect to join a multi-disciplinary team working on the resolution of a range of creative design and technical challenges. This role will help to deliver some of New Zealand’s most significant urban transportation projects, focussing on walking, cycling and public transport and the transformation of our public realm. Our ideal candidate will have a genuine interest in collaborating on design-led projects, 4years+ experience in a similar role, a recognised qualification in Landscape Architecture and proficient with AutoCAD, SketchUp and the Adobe suite. You will have experience in preparing design documentation and be familiar with the Building Code and New Zealand's natural and cultural landscape. · A relevant qualification with 3 years+ technician experience. To apply for these roles, share a copy of your cv and portfolio showcasing your recent work to careers@jasmax.com. We are a small design-led practise located in Grey Lynn, working within a multi-practice Architectural studio. Our projects range from high-end residential to multi-residential and commercial. We are looking for an architectural graduate (min 2+ yrs post grad) or recently registered Architect to join our team. The ideal candidate will be proficient in using ArchiCad, have a sound understanding of the New Zealand Building Code and excellent communication skills. An interest in design will be rewarded with the opportunity to work on a diverse range of residential projects from the concept design stage through to completion on site. If you are looking for a pathway to return to architectural work or re-registration while working in a friendly, supportive studio environment, this is the ideal position for you. This is a fulltime position but we will consider flexible work hours and days, and also job sharing. Salary by negotiation. Applicants for this position must have NZ residency or a valid NZ work visa. We are looking for an architectural technician with at least two years experience within an Architectural practice. This role requires proficiency in ArchiCad, a sound understanding of the New Zealand Building Code and excellent communication skills. The successful candidate will be rewarded with the opportunity to work on a diverse range of residential projects through all stages of work. If you are looking for a pathway to return to architectural work while working in a friendly, supportive studio environment, this is the ideal position for you. This is a fulltime position but we will consider flexible work hours and days, and also job sharing. Salary by negotiation. Applicants for this position must have NZ residency or a valid NZ work visa. We have two desk spaces available in our architecture studio for lease, and we're looking for some like-minded creative individuals to share our space. We're on the first floor of the iconic retro Hayes Building, overlooking the recently upgraded busy Teed Street / Osbourne Street corner. Plenty of natural light; an old industrial brick interior with a crafted fit-out; and plenty of cafes nearby make this a great place to work. Separate meeting room use within the studio space included. Shared kitchen and toilet. Fast fibre broadband wi-fi, and power are included. If this sounds like you, please give me a call or an email - it would be great to hear from you! Exciting opportunities exist for Landscape Architects within our vibrant Wellington Architectural Practice. Studio Pacific Architecture has an established reputation for award-winning landscape, urban design, masterplanning, architecture and interior projects. We are looking for Landscape Architects with three or more years’ experience to join our team working on a range of exciting projects around the country. The successful applicants will be passionate about the environment and have a strong technical background. The roles will involve working collaboratively within a multi-disciplinary team and taking supporting roles in the documentation and delivery of projects of various scales and complexity. – Quick and willing learners. – Experience in the documentation and delivery of complex projects. We offer a flexible, inclusive and creative working environment, with opportunities for part-time work, a variety of exciting projects, and career support and development for our people. Other benefits include health insurance, an endless coffee and fruit supply, frequent social events and Studio sponsored sports teams. If you have these qualities and would like to play a key role in our exciting body of future projects, then please send your CV and a PDF of your portfolio work to us as soon as possible. An exciting role exists for an Archicad savvy Technician to join us at our office in Newmarket, Auckland. Gel Architects is a design-driven practice with an established track record for producing high-quality contemporary, Urban Regeneration, Commercial, and Medium Density Housing projects. We are looking for someone who wants to move forward with us and be part of our business for the long term. It is anticipated that the successful applicant will grow into more senior roles over time. · a passion for architecture and a desire to develop your skills to a high level. · an eye for detail. · a minimum 3-4 years of NZ documentation experience and a good working understanding of ArchiCAD. · a good knowledge of NZS3604 and New Zealand building systems and construction methods and be familiar with documenting New Zealand buildings. · a good understanding of Statutory Building and Planning Codes. · NDAT / LBP or similar qualifications. · Presenting preliminary drawings and outline specifications. · Understanding the Building and Resource Consent process and producing the relevant drawings and documentation. · Working as part of a team and assisting other team members. Enjoy variety in your work in a productive, supportive, social environment with a team orientated culture. This is a permanent position. The remuneration package will reflect the experience of the successful candidate. Chow Hill Architects is a multidisciplinary firm specialising in architecture, healthcare design, interior design, landscape architecture, and urban design. If you are articulate, motivated, creative, an excellent communicator, passionate about architecture, show care and attention to detail, and have leadership skills and an interest in health design – then you may be the person we are looking for. This opportunity involves leading complex projects through all phases of design and construction. As well as requiring good architectural and technical skills, this role will challenge you with user group consultation, planning and design aspects, and contract administration. We require 5 - 7 years’ experience, ideally with 1 - 2 years’ experience leading projects. We utilise Revit, so knowledge of this is preferred, but we can provide training. You will be supported by a highly committed team from both studios. We will also provide ongoing training and professional support to help you achieve your goals. We take a holistic approach to our design work and consider all aspects of a brief in the wider context of society and the environment, to create places that inspire people to live and work in. The results are beautiful, sustainable places that benefit the communities they engage with. Visit www.chowhill.co.nz for a portfolio of our projects. If this sounds like you, please leave us a message on (+64 21 848 202) and send your resume with a cover letter to (Anner.Chong@chowhill.co.nz). 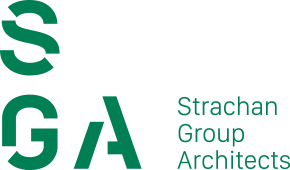 Intermediate Technician - Dorrington Atcheson Architects (DAA). This is a great opportunity to join the team at DAA, a boutique design-led architectural practice, these roles are highly sort after and don’t become available often. This is a great opportunity to involve yourself in new and interesting projects. 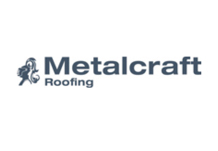 - excellent working knowledge of NZBC and NZ standards. - Autocad, Sketchup and freehand drawing experience is an advantage. MAUD is seeking a talented Architect or Experienced Graduate with 5-10 years experience to join our growing practice. ce is a pre-requisite. You will be passionate about design and enjoy working on all stages of the architectural process. You’ll be experienced in detailed documentation, have a strong attention to detail and be proficient in ArchiCAD and Adobe Suite software. Good communication and problem solving skills are a must. 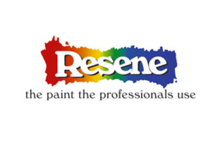 Our studio is based in Freemans Bay with ready access to PT. We are happy to discuss flexible working hours and contract arrangements. Please submit your CV and portfolio in one PDF file (max. 6MB) to hello@maud.nz. Click Architects is a design - focused residential practice looking for an experienced grad or architect. If you are confident and comfortable undertaking developed design and technical documentation then I'd love to hear from you. Proficiency in AutoCAD or Revit. Sketch-up and Photoshop also helpful. An exciting opportunity exists for a Registered Architect with at least 6+ years’ industry experience within our vibrant Wellington Studio. Studio Pacific Architecture has an established reputation for award-winning architecture, urban design, landscape, and interior projects. We are looking for a Registered Architect with excellent design skills to collaborate with our project teams. The successful applicant will have strong CAD (preferably ArchiCAD) skills, sound technical knowledge, good written skills and be able to contribute to the design and documentation of our diverse range of projects. 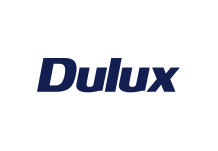 Technical background with knowledge of building systems and construction. Experience with complex and large projects over a range of project types. If you have these qualities and would like to play a key part in our exciting body of projects, please send your CV and 4 or 5 examples of your work to us by Wednesday 31 October 2018. Lloyd Hartley Architects have an exciting opportunity for someone to join our team. We are looking for someone with 3+ years experience to work in our studio in Ponsonby, Auckland. The role requires strong CAD documentation skills (ArchiCAD preferable), an understanding of quality residential construction and great communication. NZ residency and a full driver’s license is also required. We are a small firm focused on creating finely crafted, integrated architecture and are seeking someone equally passionate to assist with all aspects of architectural service. We promote a collaborative and supportive work environment and are after someone who can positively contribute to our practice. Bureaux is a medium sized studio located in the heart of Auckland CBD. Our projects are varied, ranging from award winning high-end residential, interior and hospitality projects to mixed used developments. We have a full-time position available for a talented design Architect who is capable of leading and delivering a range of residential and commercial projects though out New Zealand. To be successful in this role you will have a minimum of 10 years local experience and proven design and project leadership ability presented in a portfolio of completed projects. NZ residency & full driver’s license are required for the role. Our team of nine work in a friendly, supportive and collaborative environment and we encourage a healthy work / life balance. To apply for this position please send a brief cover email along with your CV (5MB max) and references to contact@bureaux.co.nz . Bureaux is a boutique Architectural and Interior Design studio located in the heart of Auckland’s CBD. Our projects are varied, from award winning high-end residential, commercial and hospitality projects to mixed used developments. We have a full-time position available for a talented Interior Designer to work alongside our architectural team to develop and deliver interior design solutions across all our projects. We are looking for a candidate who has relevant experience (preferably local), is proficient in Adobe Photoshop and Indesign, SketchUp and AutoCAD, with proven design ability presented in a portfolio of completed projects. NZ residency & full driver’s license are required for the role. Our team work in a friendly, supportive and collaborative environment and we encourage a healthy work and life balance. Bureaux is a medium sized studio located in the heart of Auckland CBD. Our projects are varied ranging from award winning high-end residential, interior and hospitality projects to mixed used developments. We have a full-time position available for a talented Architectural Graduate who can contribute to the design and delivery of residential and commercial projects throughout New Zealand. To be successful in this role you will have a minimum of 2-3 years local experience, preferably in high-end residential projects, and proven design ability. An exciting opportunity exists for a Landscape Architect within our vibrant Wellington Architectural Practice. Studio Pacific Architecture has an established reputation for award winning landscape, urban design, masterplanning, architecture and interior projects. We are looking for a full-time Landscape Architect, with one to five years’ experience, to join our team working on a range of exciting projects around the country. The successful applicant will be passionate about the environment and have a strong technical background. The role will involve working collaboratively within a multi-disciplinary team and taking a supporting role in the documentation and delivery of projects of various scales and complexity. • Quick and willing learner. If you have these qualities and would like to play a key role in our exciting body of future projects, then please send your CV and portfolio work to us as soon as possible. Warren and Mahoney Architects is seeking an experienced Architectural Graduate to join their Auckland studio. We welcome you to our website www.warrenandmahoney.com to discover more about our practice and to view our portfolio of work. We are seeking candidates who have a tertiary qualification in architecture and a minimum of two-three years working experience. You will have an eye for design and demonstrate clear technical capabilities, Revit skills would be advantageous. You will be fully involved in projects contributing your thoughts and ideas and therefore good communication skills are essential. This is a fantastic opportunity to work within a vibrant culture that allows you to be self-driven, alongside senior leaders in the practice who will assist you on your pathway to registration. If this sounds like you please email your CV and portfolio to HR@warrenandmahoney.com. All applicants must be NZ permanent residents or hold a valid NZ work permit. We look forward to hearing from you. Warren and Mahoney Architects is an international award winning design practice with seven studios across NZ and the Pacific-rim operating as one studio. We consider design to be integral to each phase of the architectural process and represents the identity of our team, clients and the environment we value. We welcome you to our website www.warrenandmahoney.com to discover more about our practice and view our portfolio of work. Successful applicants will have a tertiary qualification in architecture and be registered in either NZ or abroad with relevant commercial practice experience. As we are a highly collaborative team, excellent communication and presentation skills are essential. If you are looking for more opportunities to lead in a vibrant, growing studio with a passion for quality design and architecture, then we would love to hear from you. If this sounds like you please email your CV and portfolio to HR@warrenandmahoney.com. Warren and Mahoney Architects are seeking talented Intermediate – Senior Revit Architectural Technicians to join their Auckland studio. We welcome you to our website www.warrenandmahoney.com to discover more about our practice and to view our portfolio of work. Warren and Mahoney attract a diverse range of projects that give our Technicians challenging work and variety. We are seeking candidates that are proactive to uphold the high-quality design and build ethics our practice prides itself on, and an independent attitude which allows you to take responsibility and ownership of your work. We are team oriented with an emphasis of working collaboratively with other Warren and Mahoney studios. If this sounds like you, please email your CV and portfolio to hr@warrenandmahoney.com the role is available for immediate start. All applicants must be NZ permanent residents, or hold a valid work permit. We look forward to hearing from you. The luxury and adventure capital of the Southern Hemisphere, Queenstown’s alpine location and metropolitan culture forms an idyllic location for work and play. Due to growth, Warren and Mahoney is seeking our next Principal and studio co-leader to help develop Queenstown’s built identity and environment. Working with the current leadership team, you will also be shaping the future of the practice. At Warren and Mahoney, we believe that identity matters. Our next Principal will be an expert communicator, strategist and designer, with a passion for understanding local cultural contexts, and translating them into spaces that connect people and create a sense of belonging. With a portfolio of exceptional built work in the high-end hotel, hospitality, and residential sectors, either gained in New Zealand or further afield, you will be inspired to grow and develop our opportunities both in the Queenstown office and wider Warren and Mahoney network. Your office will be set just one street back from the majestic Lake Wakatipu, but your influence will extend across our other six studios that act as one. Be a Registered Architect with at least 10 years’ experience. Be a part of Warren and Mahoney’s next chapter. Help define a new benchmark for Queenstown’s design. Build upon our exceptional project legacy. Be a part of the design and business community that builds and thrives upon Queenstown’s global success. In return, we offer a leadership role in a dynamic design business and an excellent remuneration package, which includes the potential for shareholding. Please send us your portfolio and CV, with a cover letter detailing your career highlights, to Sarah Coleman, Group People and Culture Officer at sarah.coleman@wam.co.nz by Sunday 8 July 2018. 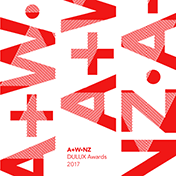 ĀKAU is an architecture and design studio with a vision to create thriving communities around Aotearoa. To us, this is where every young person has a purpose, a voice, and meaningful participation. We create opportunities for youth to be involved in the design of REAL projects in their community. Through involving youth in real design and architecture projects we are teaching our future leaders how to think creatively and innovatively about how they want their communities to be and empowering them to make real positive social change themselves. This also strengthens our architecture and design projects as the outcomes are more relevant, contextual and authentic. We are looking for a Registered Architect to join the ĀKAU Auckland team based in New Lynn. They will work in a tight (and awesome!) team environment and be involved in projects from concept design through to construction documentation and site observation/ contract administration. Our Registered Architect will preferably have a minimum of 5 years experience working on New Zealand Architecture projects across the full range of project stages. They will be a self-motivated individual with leadership abilities who is confident leading Architecture projects as well as mentoring other people. Communication skills and a positive character are a must as our Registered Architect will be liaising with consultants, clients, council and other ĀKAU staff. This role will include mentoring graduate architects & interns. In-depth knowledge of REVIT is also essential. Occasionally this role will involve travel to Northland for project meetings, staff training on workshop facilitation or to deliver design workshops to taitamariki or community groups. An understanding of tikanga Māori and Te Reo Māori is advantageous. This position reports directly to ĀKAU Director Felicity Brenchley. Relationships with clients and contractors are important as are relationships with other ĀKAU staff, ĀKAU taitamariki & trustees. The position is anticipated to commence in July 2018 but this is negotiable for the right candidate. It is a full time role (37.5 hrs per week) and is subject to a three month trial period. Remuneration will be determined based on level of experience and there is opportunity for career advancement within the Studio. This role will be based out of the ĀKAU office in New Lynn, Auckland, with some travel required to Northland. All work-related travel to Northland will be paid for by ĀKAU. A new role with flexible work hours for a talented Architect has opened up with this great Practice. The ideal person will have excellent design skills and experience. It is an exciting opportunity to grow and develop your career further via a number of architectural design areas including residential, commercial and urban design projects. The architectural practice has a culture of fun and collaboration, supported by exceptional business leadership, where everyone contributes. 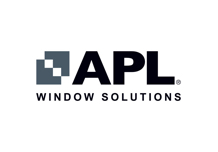 Ongoing professional development and growth is core to this leading edge Firm. You will enjoy interacting with great colleagues, high calibre clients and a dynamic range of work. Essential pre-requisites include first rate design ability, proven knowledge and experience of working with Australian and or NZ building technologies, codes and regulatory processes. CAD ability is required. Only applications from candidates who are legally entitled to work in New Zealand will be considered. Premises for rent at 1A Elgin Street, 1st Floor historican office space available in Grey Lynn, Auckland. Approx 60 sq.m, with capacity for up to 9 people. The other areas are occupied by Zoomslide, digital and film creatives. One large open plan space, with two small loft offices available as one space. Fully wired up and ready to go. Currently semi-furnished but can be let as unfurnished if that is your preference. $600 + GST per week and all expenses / power. 1 year lease available with potential rollover. 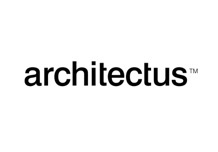 Award Winning Architects Practice looking for Architect or Senior Technician with at least 5-10+yrs experience. Keen interest in sustainability, team work and design excellence preferred. Experience in contract management important. 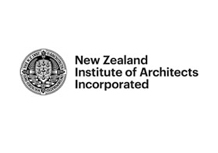 Experienced architectural graduate sought by boutique, design-lead practice in Grey Lynn, Auckland specialising in residential projects. The position offers exposure to all phases of the architectural process, strong career prospects and partnership opportunities for the right applicant. Are you interested in working with a friendly, engaging, design-based practice and enjoy leading detailed design and documentation? If so, we want to hear from you. Lovell and O’Connell Architects (LO’CA) is a family friendly design-based practice that works on a range of mid to high-end residential alteration and new projects. We are located in an office with easy parking opposite Lyall Bay beach in Wellington. For more info on our practice refer to our website: www.loca.co.nz. We are looking for an experienced architectural graduate to join our growing team at the start of the new year. As a design based practice we offer the opportunity to work across all architectural project stages, we value innovation and creativity whilst respecting the limitations of each project. You will be working with SGA’s experienced architects and directors to deliver concept designs, resource consent and building consent documentation and construction drawings. You will posses strong interpersonal skills to liaise with clients, consultants and contractors. Our friendly team and open plan office provides an excellent opportunity for the right individual. We are a well respected, award winning architectural practice based in Kingsland, Auckland. Our team of 13 comprises two directors, three architects, seven graduates and an office manager. Our recently completed studios offer a supportive environment with modern amenities and a fully equipped fabrication workshop. We work across a range of project types from house alterations, new homes, community and commercial buildings to masterplanning and design for large scale housing developments. At SGA we integrate sustainability and craftsmanship into all designs. There is a strong focus on pragmatic design and comprehensive construction documentation. Constructive criticism and knowledge sharing is encouraged to help deliver high quality contemporary design. This is a full time position and salary will be based on experience. If this sounds like you please email your application to fiona@sgaltd.co.nz. Good base salary plus performance based annual bonus. Part time position either in our office or working remotely. Small design based NZIA practice. • Excellent team and communication skills. Good remuneration relevant to experience. An exciting opportunity exists for the newly established position of Technical, Detailing and Quality Manager within our vibrant Wellington Architectural Practice. Studio Pacific Architecture has an established reputation for award-winning architecture, urban design, landscape, and interior projects. We are looking for a full-time Technical, Detailing and Quality Manager, who will have responsibility for managing the technical accuracy and quality of documentation and the associated risk management. The appointee will be a registered architect or architectural technician with a considerable number of years’ experience in the building industry, with demonstrated knowledge and expertise in complex and large projects over a range of project types. A strong technical background, with comprehensive technical knowledge of building systems and construction, a keen eye for detail, and quality management skills and experience is essential. Excellent communication skills and the ability to build a strong rapport with Studio staff, project team members and consultants is also critical. As an employer of choice, we take part in the IBM Kenexa Best Workplaces Survey every two years, measuring employee engagement. In 2016, we were announced as a finalist in the Small-Medium category in New Zealand. We are an equal opportunity employer and value diversity in our people and our projects. We offer an inclusive and creative working environment, a variety of exciting projects, and career support and development for our people. Other benefits include an endless coffee and fruit supply, frequent social events and Studio sponsored sports teams etc. If you have these qualities and would like to further develop your experience within a fantastic company culture, please send us a cover letter and a copy of your CV. A job description is available on request. Applicants for this position should have NZ residency or a valid NZ work visa. Applications close 31 August 2017. We are looking for an enthusiastic architecture graduate (preferably with some work experience but not essential) to join our boutique Britomart based studio in Auckland. We are offering a graduate position which will give you hands-on experience across a range of residential and commercial projects where you will learn to run projects from start to finish with close direction from our experienced team, looking to achieve best architectural outcomes. Our studio has a friendly, collaborative environment where you can develop your professional skills while producing great architecture. Good design skills, clear communication, strong drawing & modelling capabilities are a must for this role. This is a call for expressions of interest in joining a dynamic team of design educators at the Nanette Cameron School of Interior Design, located at Te Tuhi. We are looking for candidates who have a keen interest in design history, who are active design practitioners that have teaching experience in design related industries. Nanette Cameron was a pioneer of student-centred learning and we are seeking out design educators who can engage with a range of student-centred learning activities that will generate lively, productive class discussions on a range of topics related to interior design in context. These contexts include drawing and modelling for interior design, design history, colour, and design for residential interiors. Each module runs for 10 weeks with 2-4 classes (depending on enrolments) of 2.5 hour duration each week. Classes are scheduled on a Tuesday and Wednesday between 10am-12.30pm and 6.30pm-9pm. Classes are held at Te Tuhi, 13 Reeves Road, Pakuranga, Auckland. If this sounds like you please send us your CV and a cover letter outlining relevant experience and which module/s you would be interested in teaching. If you have any questions please contact Grace on 09 577 0138 or email grace@tetuhi.org.nz. Applications close 31 August. Our client, TAYLORED is a progressive architectural design studio located in the heart of Birkenhead, a great community with everything you need at your doorstep. TAYLORED studio boasts 10 years working with a diverse range of clients producing inspirational architectural services for both residential and commercial projects. The best part, they are designing their new studio premise so that means you will be working in a TAYLORED building! Is this your dream job? Led by the Director, William Taylor, this young and commercially established bunch celebrate the difference in the creative process to ensure their clients are the difference in what they do. Their studio is growing and they are looking to welcome a key team member to become part of their creative, open minded and progressive company culture. If you like to question, create, laugh, and deliver quality built environments, TAYLORED studio is the place for you. We would love to hear from you so please hit apply or contact Angela, We are Talent 021 93 83 73 for a private and confidential conversation. We are a design led practice with proven ability to make great architecture and great places. We are seeking talented and experienced Architectural Graduates who will share our passion and design approach to join our Auckland Studio. A stimulating design led environment. A broad range of exciting projects that help shape our built environment underpinned by a strong social and cultural agenda. A network of NZ and Australian offices with the opportunity to share ideas and contribute to projects nationally and internationally. Professional growth with in house training and development. If you would like the opportunity to contribute to the realisation of innovative and inspirational projects, we would like to talk to you! Mark Frazerhurst Architects is a small contemporary practice focused on quality residential architecture (new houses and alterations/additions) and small scale commercial projects, and we’re looking for a motivated and enthusiastic architecture graduate with a few years experience to join our small team, based in Newmarket, AKL. Applicants must have a level of competence in ArchiCad, and should have a sound knowledge of NZS3604 and the NZBC. Good communication skills, an aptitude in freehand sketching and good time management skills would be beneficial. Part time or full time position to be confirmed, based on the right applicant. We’re happy to discuss flexible working hours. Please send us an email (mark@frazerhurst.com) if you’re interested, we’d love to hear from you! 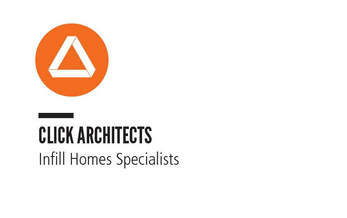 Click Architects is a design - focussed residential practice looking for an experienced grad or architect. If you are confident and comfortable undertaking developed design and technical documentation then I'd love to hear from you. Condon Scott Architects are seeking an architectural graduate with 3-5 years experience to join our Wanaka based practice. This is an eight months maternity leave replacement position, available from 1st November. Successful applicant will work with principal architects in the design and technical documentation of a wide range of residential and commercial projects. Applicant must be experienced in ArchiCAD and New Zealand Building Codes. All applicants must be a New Zealand resident or hold a valid work permit. Digital files no larger than 5mb. Registered Architect or experienced Draftsperson required for a small residential architecture practice. Part-time hours available, family focused studio. Requires 5 years min NZ experience of design, detailing, documentation of quality residential architecture, and a passion to achieve a balance of time for family life AND a career in architecture. Archicad. East Auckland. Contact lisa@donnellday.co.nz 09 5329522 for more information. 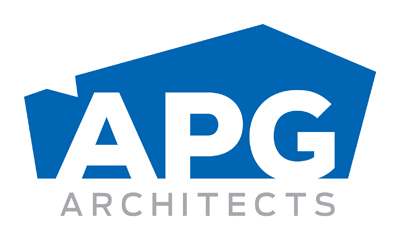 APG Architects Ltd is a practice in Hamilton who are involved in a variety of projects in Commercial, Medical and Education as well as Residential including overseas hotels and resorts etc. This well-established design firm want to build their design team to meet the increasing demand of their project pipeline . We are seeking Intermediate and Senior Technicians, Architects or Architectural Designers that will be part of a great team in both Hamilton and Tauranga. Your role will be contributing to the design development and documentation for projects. - To demonstrate proficiency in Revit and AutoCAD with speed and accuracy. - Experience in preparing documents for building consent. You will be working on projects in all phases of the architectural process. - Demonstrate and provide a good understanding of construction and construction detailing. - A solid understanding of NZ Building codes, regulations and materials. - Knowledge of 3dMax, Sketchup, Photoshop is an added bonus. - A minimum of two years work experience is preferred. - Creative and strong in design. - Experience in commercial projects. - You must be able to work independently as well as in a team and be an enthusiastic person with a willingness to learn. - To have sound verbal and written skills and communicate effectively. - To have the ability to follow instructions without having your hand held. If you feel that you meet this criteria plus more, email your CV to us at nicola@apgarchitects.com along with a portfolio that shows examples of your work. - A good design eye. - Attention to detail and an enjoyment of the process of documentation, from concept design through to working drawings, with the ability to put together resource and building consent documentation. - To be able to work well on your own and with us. - The ability to give our clients the same friendly, efficient and personable service that we do ourselves. If this sounds like you, we’d love to hear from you. Contact Amy Hendry at amyh@fourwallsarchitecture.co.nz or 0274 523 027. Reve Architecture is a small, busy team of three with a range of exciting projects based in the heart of Wellington. Our business is growing, with exciting projects on the go, so we are looking for a new team member with minimum 3 years experience. -The ability to prepare Resource and Building Consent documentation. - Experience and skills with AutoCAD, SketchUp and Rhinocerous is a plus. - Ability to communicate effectively and confidently with consultants, clients and contractors. Our team at Patterson Associates are seeking a skilled and self-motivated Architectural Technician to join one of New Zealand’s most awarded and internationally recognised practices, based in Parnell. You will need to be collaborative, passionate about detail, and work well with our highly creative and talented team. You will be self-motivated, a great communicator, and adhere to our high standards and expectations for design/document production, to help provide successful outcomes for our clients. The successful candidate must be design focused, have an eye for detail, and an ability to express ideas both graphically and verbally to consultants, local authorities and builders. We are a BIM modelling based practice, so a sound knowledge of CAD software is vital. The ability to produce written specifications and a sound knowledge of the NZ Building Code and NZ standards is required. You will need to hold a recognised qualification as an Architectural Technician and have a minimum of 5 years’ experience working in the New Zealand building industry. Candidates must be able to work to deadlines, whilst always maintaining consistently high standards of work. Sanderson Group is a family owned & operated business building Luxury Retirement Villages and Aged Care Facilities. We are looking for highly skilled and experienced Full-time Intermediate/Senior Architectural Designer / Technician to join our team. ∙ Be able to produce high quality, accurate drawings from design plans through to working drawings suitable for building consent and construction documentation. ∙ Worked in NZ is essential. ∙ 3D modelling would be an advantage. This is a great opportunity for long term work for a skilled person, working within one of New Zealand’s leading retirement village companies. Sarah Scott Architects are seeking a graduate architect with 3-5 years experience to join our Wanaka based practice. This is a one year maternity leave replacement position, available from 1st June. Successful applicant will work with principal architects in the design and technical documentation of a wide range of residential and commerial projects. Applicant must be experienced in ArchiCAD and New Zealand Building Codes. All applicants must be a New Zealand resident or hold a valid work permit. Digital files no larger than 5mb. Are you interested in working in a friendly, engaging, design based practise and are keen to be involved in all aspects of a project? Would you like project experience and in house training for a clear pathway towards NZRAB registration? If so, we want to hear from you. Lovell and O’Connell Architects (LO’CA) is a small design focused practice that works on a range of mid to high-end residential projects. We are located in an office with easy parking opposite Lyall Bay beach, with views to the Cook Straight. Due to the growth of our practice, we are looking for an architectural graduate to join our team. • Part time position either in our office or working remotely. • Small design based NZIA practice. Are you interested in working in a friendly, engaging, design based practice and enjoy leading detailed design and documentation? If so, we want to hear from you. We support flexible work arrangements and welcome alternative modes of employment such as working remotely, part-time salary or project based contract work. I’m a sole practitioner looking for someone flexible to work part time hours. Our small team of contractors work on a mix of research-led commercial and residential sensory garden design, playground design, landscape architecture, and urban design. I work from Takapuna in a spacious office with Gulf and city views, good teas and coffee on demand. Most of the work is in Wellington so your location is flexible. Your ability to travel is desirable as we work nationally and internationally. You must be someone technically minded who can put together plan packages without too much supervision, so ideally you have at least a few years’ experience of working independently. While the role is primarily free hand Concept drawing and drafting, there is some opportunity for client meetings, visualisation and design work. Could suit someone wanting to work school hours, or similar. Pay and hours by negotiation. with documentation for consent and construction in this area. around family. You can split some time working from home too if that works. Email natasha@maud.nz or call 021 616 498. We are on the hunt for an experienced Registered Architect to join our Wellington Studio. Stephenson&Turner (S&T) are on the hunt for an experienced Registered Architect to join our Wellington Studio. S&T is a leading architecture and building services engineering consultancy with a mission to create a better designed, healthier built environment. Our Wellington Studio has a 6 Star Green Star rating and was awarded 'Workplace of the Year' at the 2012 Interior Awards. You will be managing a diverse range of projects and leading a motivated team. In return we offer a supportive environment that want to see you take your career to the next level. Our people are our biggest asset. Our team is actively social, creative and value a work-life balance. If you would like to know more about our practice and view our portfolio of projects please visit our website at www.stephensonturner.com. All applicants must be NZ permanent residents or hold a valid NZ work permit. Warren and Mahoney is a design led multidisciplinary architectural practice with a reputation for professional and design excellence. With six studios across Australasia, our integrated teams work across the disciplines of architecture, workplace and strategy, master planning, urban, customer experience and environmentally sustainable design over a diverse range of sectors. Our design philosophy is underpinned by the desire to improve human interaction through built form. We believe in a culture of individual enquiry combined with collective spirit. Our people are key to our success. We are committed to providing a team environment where professional career development is encouraged. We are always on the lookout for enthusiastic and talented architects, designers, graduates and Revit technicians. Follow this link to view our current opportunities. We hope you will consider being part of our team. I’m a sole practitioner looking for someone flexible to work part time hours, either in my office in Ponsonby, or from home. My work is a mix of commercial and residential architecture, and I share office space with a commerical interior designer. It must be someone technically minded who can put together building consent packages without too much supervision, so ideally someone with at least a few years experience of working in an office. While the role is primarily drafting, there would be some opportunity for visualisation and design work. Could suit someone wanting to work school hours, or similar. Pay and hours are by negotiation. If you are a recent graduate with visualisation skills and a sound knowledge of ArchiCad, and would like to work in a small firm in a 'rural' location (the best of nature but very close to Auckland), apply now to Belinda George Architects. We are looking for an Interior Designer to join our national interiors team in our Wellington office. We are an innovative team with a focus on design excellence and production. Our projects benefit from the close integration of practitioners and thinkers from architecture, interiors, urban design and master planning. Our team of professionals are engaged in a range of high profile commercial, civic and environmental projects throughout NZ. As a design-led company, we provide excellent scope for professional development and have systems in place to support technical, professional and research needs across all disciplines. The successful applicant must be eligible to work in New Zealand and be familiar with the Building Code. If successful, you will be required to undergo a full reference check. To apply for this role, please send a cover email, outlining your suitability for and interest in the role, and a full CV and portfolio (no larger than 5MB preferably pdf format in one file) to careers@jasmax.com. If you have any queries about the role, please send these to the above e-mail address or contact the People and Culture team on 09 281 7088. Applications close on Friday 26 June 2015. A newly created position has arisen for an experienced Architect or someone who is working towards registration, and is a proven designer. It is a superb opportunity to manage leading edge projects and forge a successful long term career path. This architectural practice has a culture of energy, fun and collaboration, supported by superb business leadership, where all ideas are welcome. Ongoing professional development and growth is supported and encouraged. Essential pre-requisites include first rate design ability, proven knowledge and experience of working UK or NZ building technologies, codes and regulatory processes. CAD ability is required. ArchiCAD is an advantage. Only candidates who are legally entitled to work in New Zealand may apply. Doctoral Research Scholarships: University of Tasmania. This scholarship includes fees and provides $25,392pa (2014 rate) living allowance for 3 years, with a possible 6-­‐month extension. For more information, download the information sheet. And here's the very welcome attitude: The opening is for 1 full-time position or 2 job-shared positions. This is an excellent, open-minded approach to changing workplace culture, and we thank Isthmus Group for being part of this change. You can find more information on their blogpage. Development of initial concept designs. Direct contact with clients and consultants. Experienced in documenting unique Architectural projects. Familiar with the NZBC and associated NZ Standards. Able to communicate with suppliers, consultants and local authorities. Experienced in preparing building consent applications. Able to work in a team environment, or on individual projects. Applicants for this position must have NZ residency or a valid NZ work permit. Remuneration will reflect the level of New Zealand work experience. The CoLab studio is a small open team environment of five people. Our ideal candidate would be someone who is enthusiastic and has a genuine interest in architecture. Our client is seeking an Architect who believes that great architecture and urban design relies on effective relationship building, active collaboration with clients and an ability to put themselves in their clients’ shoes. It is a superb opportunity to lead innovative, leading edge projects and establish a long term career path within the organization. This is a fun, people-focused architectural and urban design practice where ideas and opinions are welcomed and the vitality of the environment is clearly evident. Ongoing professional development is encouraged and fostered. The variety and range of work that this practice designs will amaze you - as will the calibre of their clients. If you are interested in this position, we would love to hear from you. 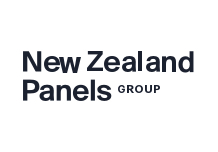 Essential pre-requisites include first rate design ability, proven local knowledge and experience of working with NZ building technologies, codes and regulatory processes. CAD ability is required. ArchiCAD preferred. To find out more please contact Helen@paratagibbs.co.nz or phone 09 379 6270 or mobile 021 222 8880 and ask for Helen Gibbs.